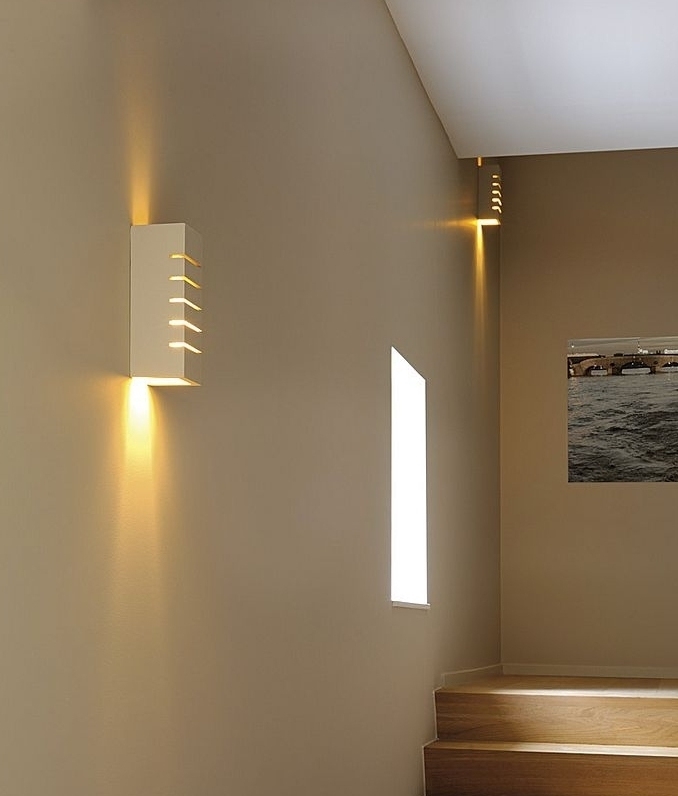 A contemporary plaster wall light with slit cut-out details allowing diffused light to shine through plus up and downward light. 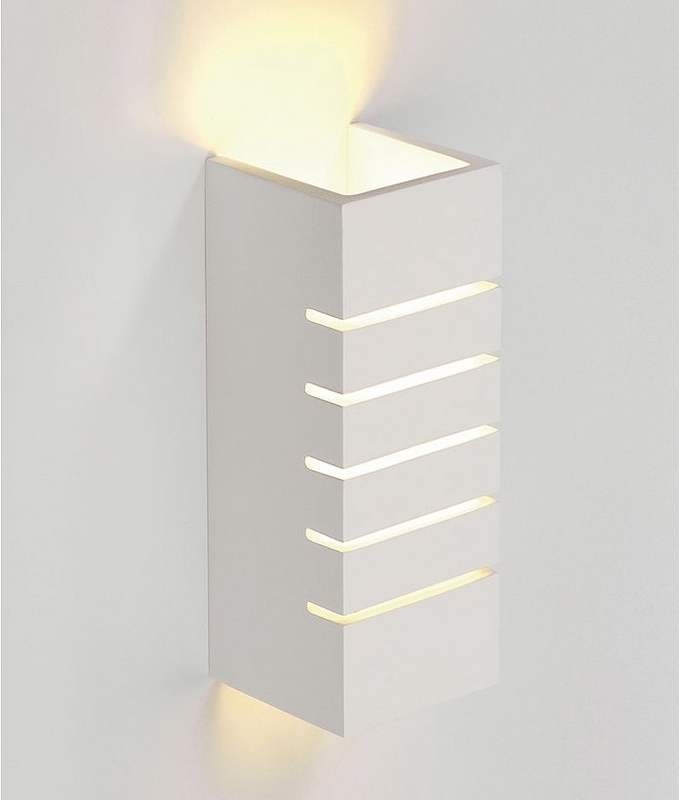 A very popular choice of wall light at a great price which creates an interesting light effect. This plaster fitting looks especially nice when used in pairs or more. 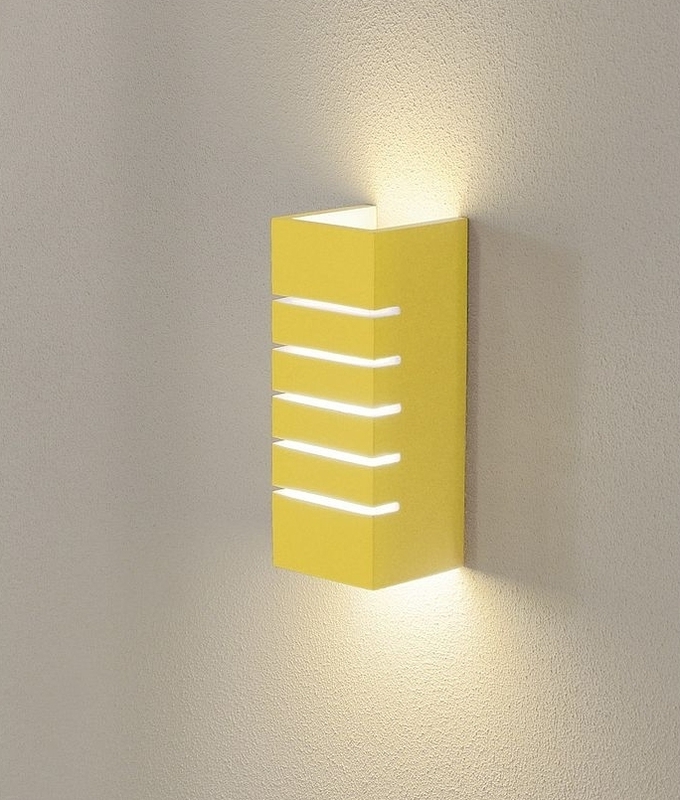 After priming, This plaster wall light can be painted with wall paint to match your decor. See last pictures to show how amazing and different they can look when painted. Great for many living spaces such as hallway, living room, bedroom or conservatory. Designed for use with a E14 mains lamp up to a maximum of 40 watts. Dimmable on any dimmer system when using a dimmable lamp. Are these also suitable for outdoor? These are not suitable for outdoor use. They have no IP rating. Is there a diffuser behind the plaster to soften the emitted light through the slits? No, although a high temperature theatre lighting gel could be used if desired. Can these lights be painted as plaster to match your room colour scheme? You can paint these plaster wall lights with any water based paint without issue. For best results water down the paint with water (25% water -75% paint). Use a soft brush with long bristles and apply paint in long strokes. Yes, these use a mains voltage capsule lamp and so can be dimmed.